Being an un-employed vocalist has its problems, both musically and financially, so Mike d'Abo made a few demo records which he circulated to various sections of the pop world. 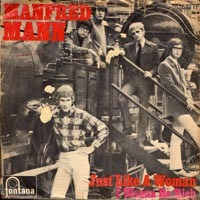 One of those demos caught the attention of one bearded, bespectacled South African group leader; both the man and the group being known as Manfred Mann. This man was faced with a problem, for having just had yet another huge hit with "Pretty Flamingo", his lead vocalist Paul Jones had left in pursuit of a solo career. 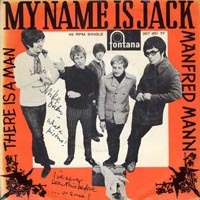 Being impressed with Mike's talents after hearing the demos and seeing him via an appearance on BBC TV's "A Whole Scene Going", Manfred Mann soon claimed him as his new vocalist halfway through 1966. 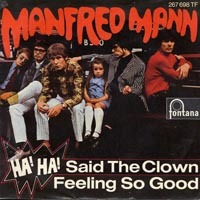 The revised Manfred Mann outfit was to have a whole string of hit singles, but their excursions into albums were less successful. While with Manfred Mann, Mike wrote and produced songs for many other artists like Chris Farlowe, Rod Stewart, The Fortunes and many more. You can read about this in chapter three. 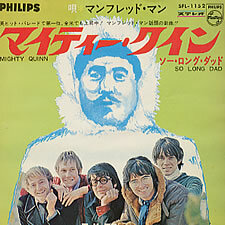 In May 1969 Manfred Mann dissolved the Manfred Mann group, and Mike d'Abo was at last his own man. 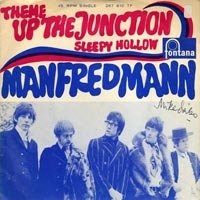 Theme From "Up The Junction"
Mike d'Abo stayed in Manfred Mann for three years only, but as you can see in the above list, he was very active as songwriter. 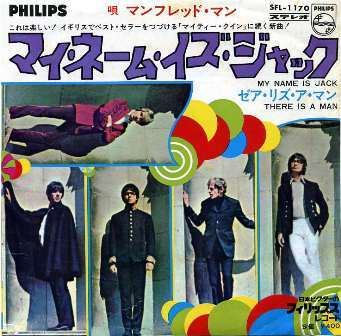 During the three years Manfred Mann released 56 songs, of which 10 are written by Mike d'Abo. These are all album tracks and/or b-sides of singles, non made it as a-side. 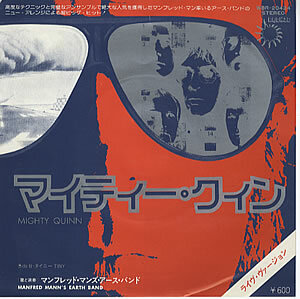 It's a bit strange, to see that all 10 songs are written by Mike alone, without the help of any of the group members.